Red Dot Diva then asked him how he would describe the essential MCU look and feel. "Since Iron Man is the first movie, and he’s one of the few superheroes whose superpowers are based in technology that could actually be created, I’d say there’s a grounded quality to everything we’re trying to do. We're trying to make things look as real as possible," Ryan explained. This 'grounded quality' is achieved on a superhero suit that allows one to fly, or in tactical suit designs like in the case of Captain America, that will help transport these superheroes into a 'real world' in the movies, but still retaining the iconic look in the comic books. Jedd asked if there was ever a battle between iconic imagery vs 'original thought'. "I don’t know if we ever look at it as ‘original thought’," Ryan said. He goes on to elaborate that unlike in comics, where designs are more elementary, visual design in the movies should not look 'too simple', especially in the age of HD cinema and HD TV screens. In fact, they have "to feel almost more real than real". That made Red Dot Diva curious about at which part of the process do the costume designers come in, and if they have a say after his designs have been approved? For example, in making alterations to suit designs. Ryan reiterates that movie making is a huge collaborative effort, and the costume department sits in during meetings and points out what may or may not work. "Once we finish and have the designs approved, they take the designs and see what will really work on the actors, and the actors have input on what will be comfortable, and what they’re looking for in the costumes as well." He said that Award-winning costumer designer Alexandra Bryne, whom he has worked with in a number of Marvel movies, like "Thor", "The Avengers" and "Avengers: Age of Ultron", described the close collaboration between the visual development and costume design best. "She said, 'we can achieve something together that we can never achieve on our own.'" Jedd wondered what were Ryan's experiences like working with the different MCU directors - Jon Favreau, Joss Whedon and the Russo Brothers. "Jon is great to work with. He loves artists and he loves working with artists because he's an artist himself. He would always come over and talk to us. In the first Iron Man, my desk was like 20 feet from his office, and he was very involved with things, and he was also very collaborative." As for Joss Whedon, Ryan said he was lots of fun, and "In presentations he’s the guy who’s making everybody laugh, he’s just fun to be around." Joss has very distinct ideas about costume design, and liked to see what the visual design department would bring to it, so he would react to those ideas. "The Russo Brothers were also really cool because they have a lot of notions about grounding the costumes. They want them to feel real, to feel really practical. In most cases that ends up like the Captain America movies, pushing Cap towards a very tactical feel," recalled Ryan. He said that it has been amazing experience and a real joy working with all the talented directors. 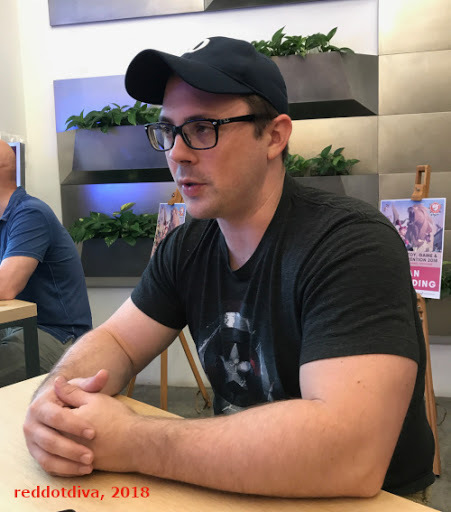 Jedd noted that Marvel has been very successful in maintaining the cohesive view of the storylines and characters in their different superhero movies through the years. 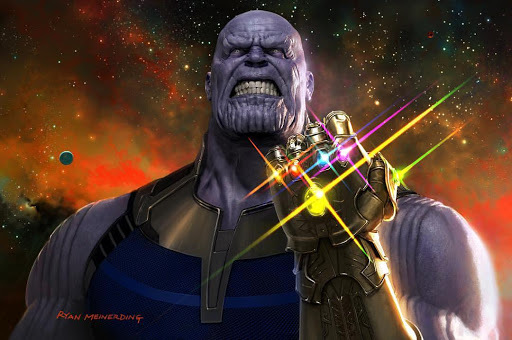 He asked Ryan to share what he thinks is the balance between keeping a cohesive overview of the universe while ensuring each movie and each character keeps their own personality, in terms of visual imagery. "Kevin Feige is really the guy that has all that working in his head," Ryan said. "We as the visual development team are fortunate enough to just try to make every movie work, and Kevin will give notes on what he thinks is going to work in the long run." 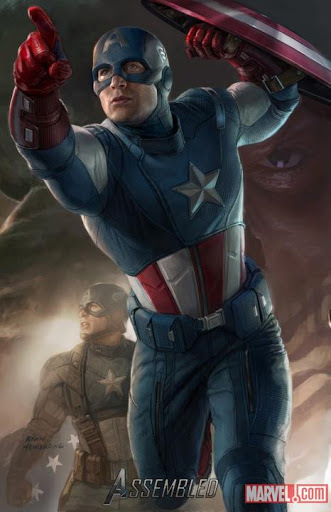 To elaborate how the visuals tie in to a continuing storyline and character's development, Ryan talked about Captain America as an example. "If you look at Captain America in the first movie and the first time he put on the costume, the costume was essentially the look from the comics, but it was him in the USO show and it was something he thought was silly and wanted to walk away from, even though he was a symbol of something greater than himself. When he got a chance to put on his own costume, he chose things that were a little cooler, he had the helmet, he had the leather jacket and the pants. When he came back from that mission, he could see the value in not only being a soldier but a symbol, and that translated into his look for the movie." Kevin Feige understands that it is about a journey, and there is no one single look that will work for all movies. "Honestly, if we’d landed on a singular really, really strong version of Captain America and it wouldn’t change, all of a sudden it would take away the storytelling possibilities. The fact that we’ve been able to change, the icon is flexible enough to be reinvented several times in the films, that’s actually one of the strengths of it. It’s not necessarily that we need to have that one definitive version," Ryan said. "And even now as Nomad when he rips the star off, that’s storytelling too, visually," Jedd remarked. Red Dot Diva asked which movie was Ryan's most challenging and favourite movies to work on. Watch the video below for his answer! Jedd thought that Kevin Feige did something smart in starting off with "Iron Man", which was based in technology, before branching off into the fantasy and cosmic realms. Is there a favourite realm that Ryan particularly enjoy working in? "I definitely have worked more in the grounded reality of Iron Man and Captain America. Cap is slightly different, Winter Soldier wound up being more like a political thriller," Ryan said. "But I enjoyed all of them." He said that it was a fun thing to have the different characters bounce off each other when they are brought together in the Avengers movies. "Iron Man bouncing off of Doctor Strange bouncing off of Guardians, it’s a lot of fun." With so many ideas thought of, pitched and designed by the team, Red Dot Diva asked if there were some cool ideas that Ryan wished could have been in the movies. "There were things we did. Like on Iron Man 1, we designed looks for JARVIS, him as a computer system, or as a wall installation. There were going to be some things when Obadiah breaks into the house, like JARVIS was going to be disabled, and you were able to see what he looked like," Ryan revealed. He also mentioned that there were some fun ideas for Hulkbuster, when Hulkbuster was going to land in South Africa to fight Hulk. "We were pitching ideas that he could take over office buildings, he would have enough reach in the technology that he could light up different office windows to point arrows, to say to pedestrians 'leave the area'. 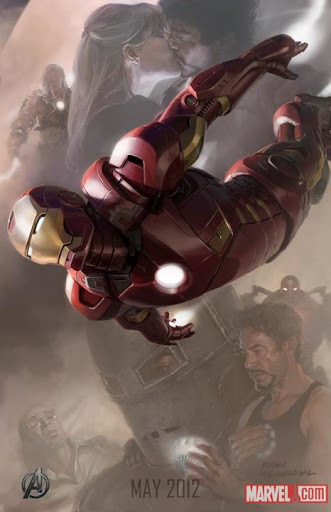 We had fun ideas like that, Tony is really looking to protect all the people around him." However, these were just some small ideas that did not end up on the big screen. Ryan said that most of the things that he worked on were translated on screen and the team provides enough ideas and options for the directors and producers to make their choices. "We always try to be very respectful if somebody’s doing a design that’s being responded to, we try to let that artist run with it. There are times like what you’re describing happens," admitted Ryan, "but hopefully we’re all a team enough that we can be excited that what’s on screen looks good and be excited that we got to work together, and collaborate on it." With so many cool Marvel characters in the MCU, who would Ryan love to interview in real life? Make a guess! Ryan Meinerding has such a wealth of knowledge and opinions about the MCU that both Jedd and Red Dot Diva wished they had more time chatting with him just now. This weekend, fans can meet Ryan Meinerding at the scheduled Walk of Fame on Sat, 3PM; Sun 4PM. Or at Kinokuniya’s booth, Sat 4:30PM, or at his own booth GB6! 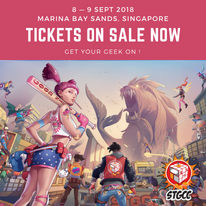 Don't miss the chance to learn some facts about concept design and movie making! The required biceps flex with Ryan Meinerding. *ADDED* to the RDD Biceps Collection!! !